As the person with the CIO job, you by necessity meet a lot of people. Many of these people work for you and so it’s important that you remember who they are. Just because it’s important does not make this any easier to do. We have all developed a coping mechanism for dealing with this challenge: when we meet someone, we put them in a box. So let’s talk about how this works out. At work, as we deal with the importance of information technology and when we meet somebody we generally try to find out enough about them to be able to put them into one of three different boxes: the A players (people who perform well), the C players (people do not perform well), and the B players (everyone else). The problem with doing this is that it can end up harming us, the person that we’ve put into the box, and ultimately the IT department. The reason that putting people in to a box is a bad idea is because people have a lot of depth to them that the box concept is going to allow you to miss. Placing a lot of people into the same box misses the point that those people have strengths and talents that can all too often be ignored. Another thing that as the person in the CIO position you need to recognize is that over time the people in your department may change their performance when at times they either stumble or improve. Once you’ve classified someone as being an A player you will then start to make mistakes. It can be all too easy to believe that once someone body has been identified as being an “A” performer, then they will always be an “A” performer. Additionally, for some odd reason we often think that if somebody is an A player at one thing, then certainly they will be an A player at something completely different. The reason that the box is a bad idea is because it turns out that it really does not hold up. If were to go and talk with the mid-level managers in your IT department, they would not be so inclined to put people into boxes. They realize that A players may have been put there because they were handed easy projects to work on. C players may have ended up there because they had a lot of things going on outside of work. 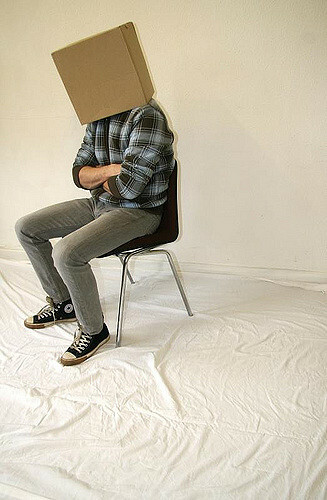 The studies that have been done in regards to putting people into boxes have revealed a great deal. What they have shown is that the job performance for any given individual can vary greatly over time. This time period can be as short as one year. The ranking of employees based on which box we believe that they fall into can start very early on in the process. Often when we are dealing with new hires who are recent college graduates and we are trying to determine where to place them in the organization, we’ll look at their GPA. The employee with the highest GPE will get the better position. However, it turns out that this could be a mistake. A great deal of study has gone into this issue and the results are very clear. GPA plays no role in predicting job performance. As the CIO you are faced with a lot of challenges. One of these challenges is that you will by necessity meet a lot of people as a part of your job. When we meet people it can be all too easy to classify them as being A, B, or C players. It turns out that this is a mistake. The reason that classifying somebody as being an A, B, or C player is a mistake is because not everyone is the same. By placing people into boxes you can overlook their special talents and skills. Additionally, people do change over time and if you’ve placed them into a box, you won’t realize this. The people that you think are A players may not remain A players and may not perform as well on other assignments. Job performance for any worker can vary over time. Starting things off by trying to place workers into boxes based on their GPA has been shown to be misleading. CIOs need to understand that their IT department is made up of a collection of people who each have a different set of skills. We need to be careful to not quickly move to place people into boxes and instead understand that everyone brings something different to the table. Take the time to truly understand the people who are working in your department and you just might find that they are all A players! Question For You: If you don’t want to put people into boxes, what’s the best way to determine who your better workers are? When we think about the person who has the CIO job, we think of someone who spends their time thinking about the importance of information technology including such things as cloud computing, building new data centers, and the arrival of the internet of things. However, when it comes to airlines, their CIOs are spending their time thinking about more practical things like just exactly how to go about keeping their critical IT systems up and running.